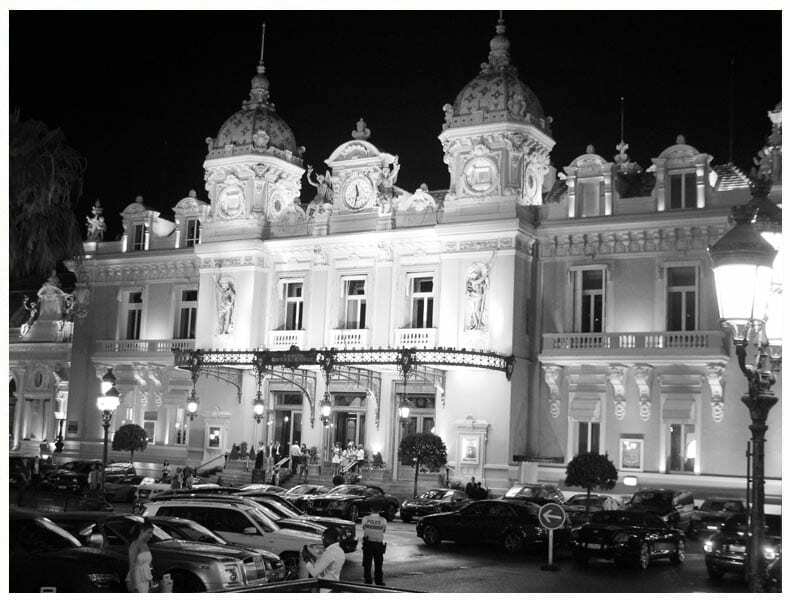 Hotel de Paris, Monte Carlo epitomises European grandeur and elegance. 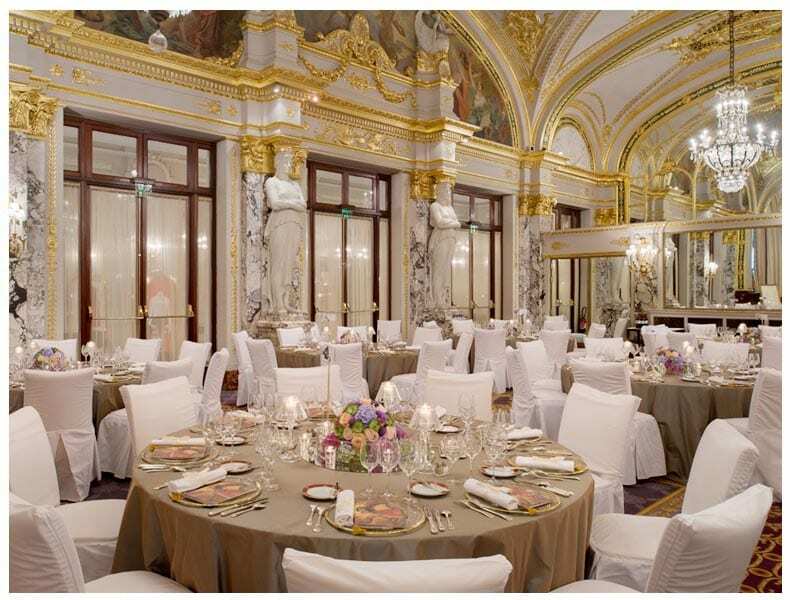 A listed historical site since the end of the 19th century the Hotel de Paris hosts prestigious galas and receptions. 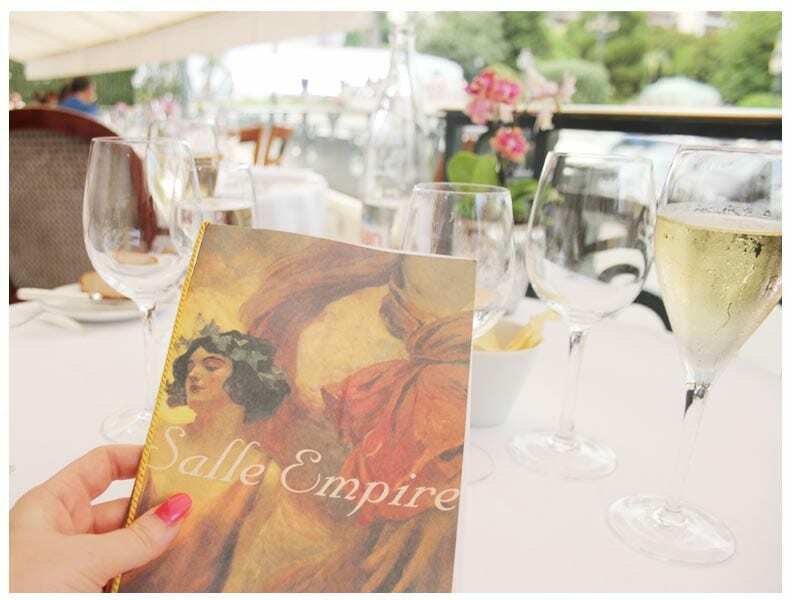 In high-summer dinner is served on the terrace at La Salle Empire restaurant overlooking Monte- Carlo’s famous Place du Casino. 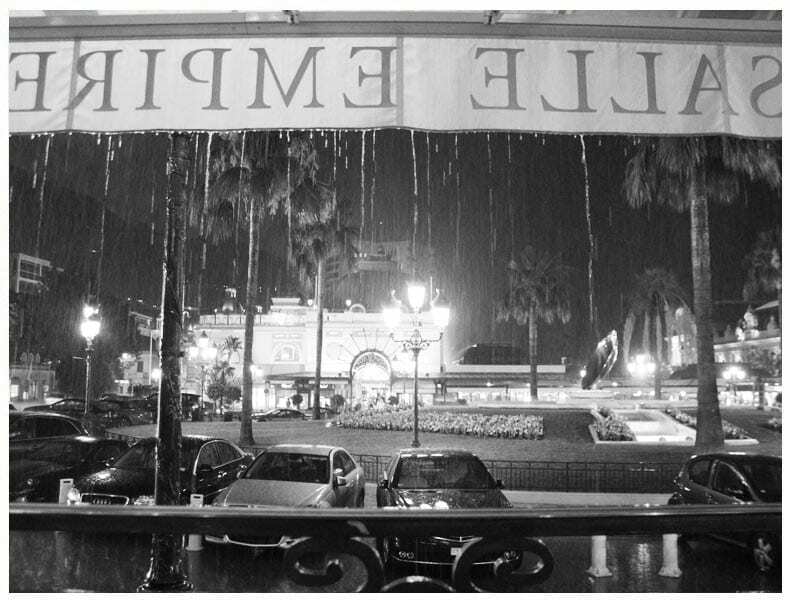 The Lobby of Hotel de Paris was the place where Audrey Hepburn was discovered for the role of Gigi whilst she was still an unknown actress shooting a scene for the film Monte-Carlo. Hepburn’s first major role as Gigi earned her critical acclaim and opened up Hollywood to her. 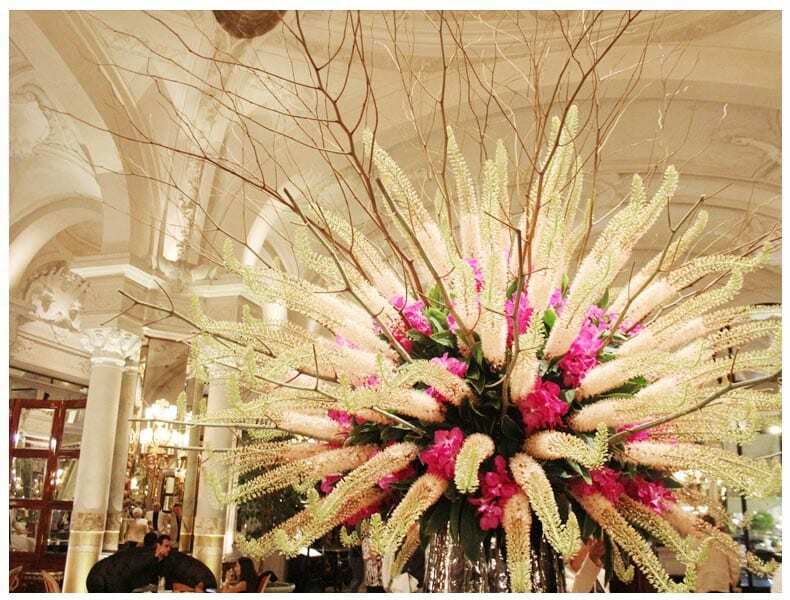 The majestic lobby with its crystal chandeliers, marble colonnades, low relief sculptures and breathtaking floral arrangements would render any girl speechless. 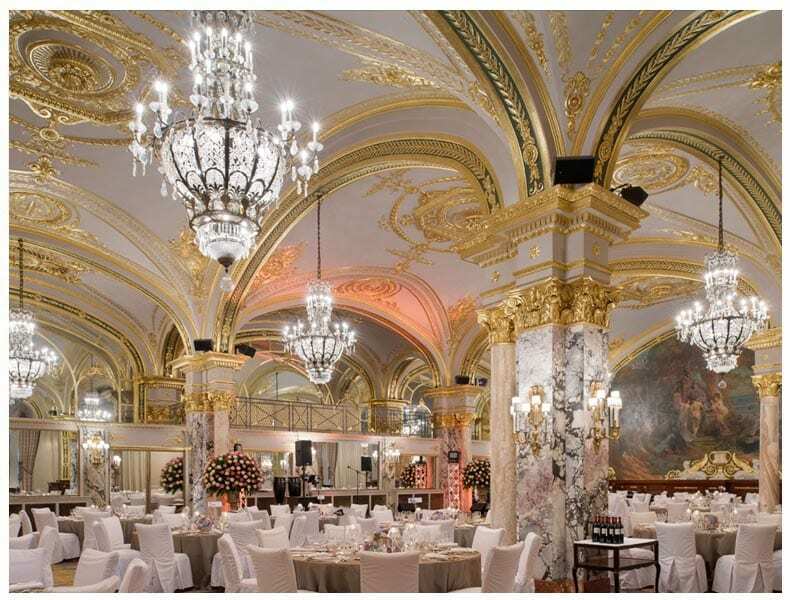 Making our way through the lobby to La Salle Empire terrace we passed through the perfectly dressed banqueting halls with diners enjoying live musical entertainment. 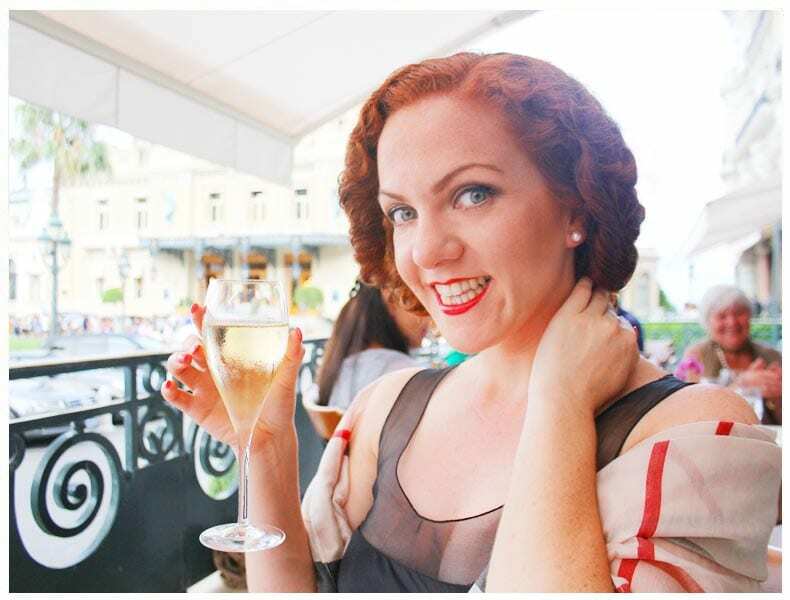 We sat on the terrace at the perfect table overlooking Monte- Carlo’s famous Place du Casino. 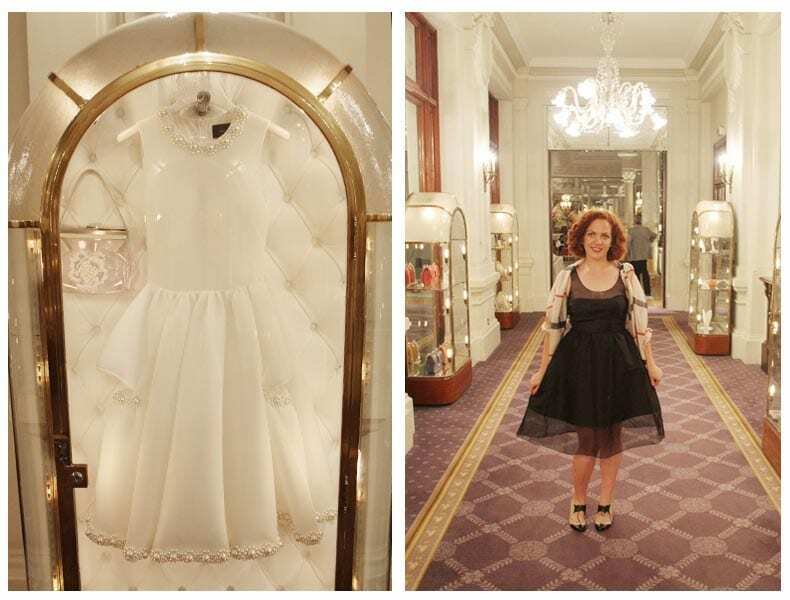 We watched as beautifully polished Bentleys, Rolls Royce’s and Aston Martins drove by pulling up and dropping off casino guests, the ladies clad in bijous mink stoles and diamonds with men wearing evening suits looking excited and ready for a flutter. 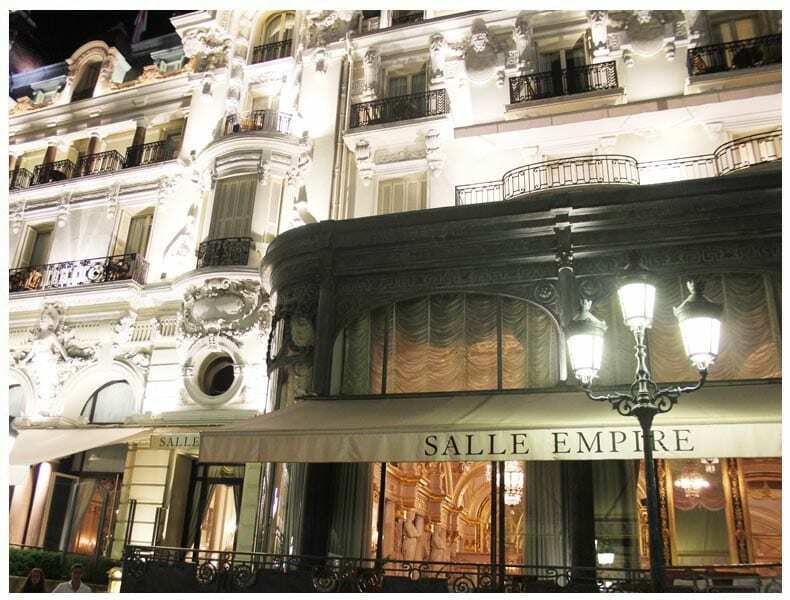 La Salle Empire’s a la carte summer evening menu comprised of a seven-course selection. 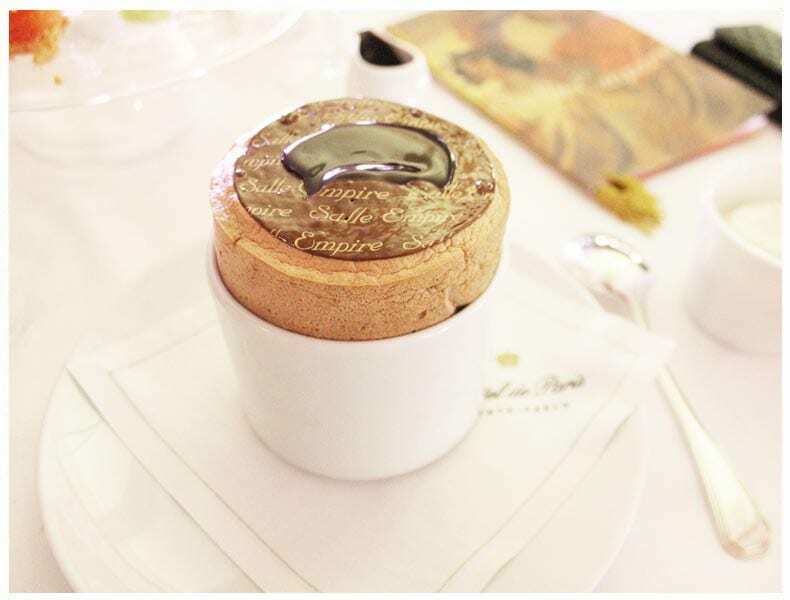 Chef Franck Cerutti has an eclectic approach to cuisine bringing new life to the kitchen of La Salle Empire along with Sous-chef Rocco Seminara. 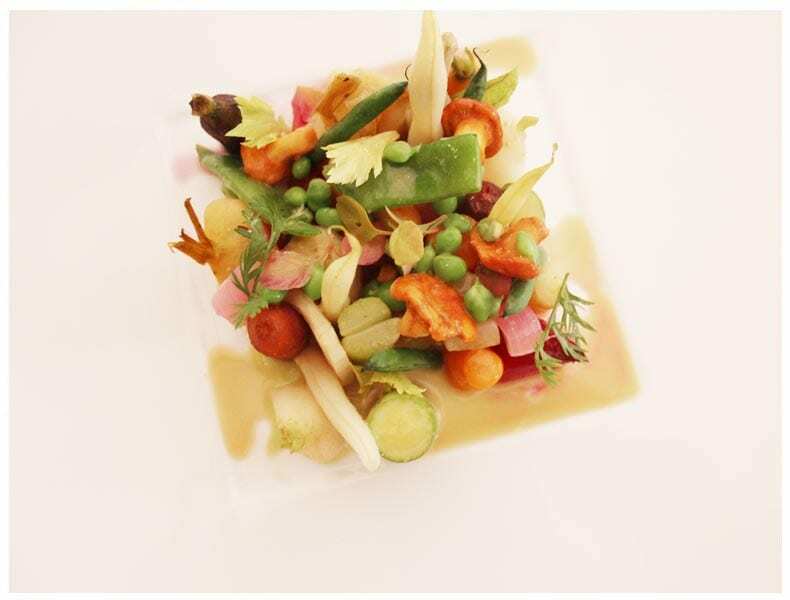 Both chefs make a point of serving seasonal, locally produced ingredients, which was evident as we began our dining experience with a selection of Raw and cooked vegetables from the Hotel de Paris garden accompanied with tangy juice. Each course seamlessly combined local produce, Mediterranean influences and a touch of the imaginative, our second course consisted of Eggplant ravioli with fresh goats cheese, thyme and lemon. 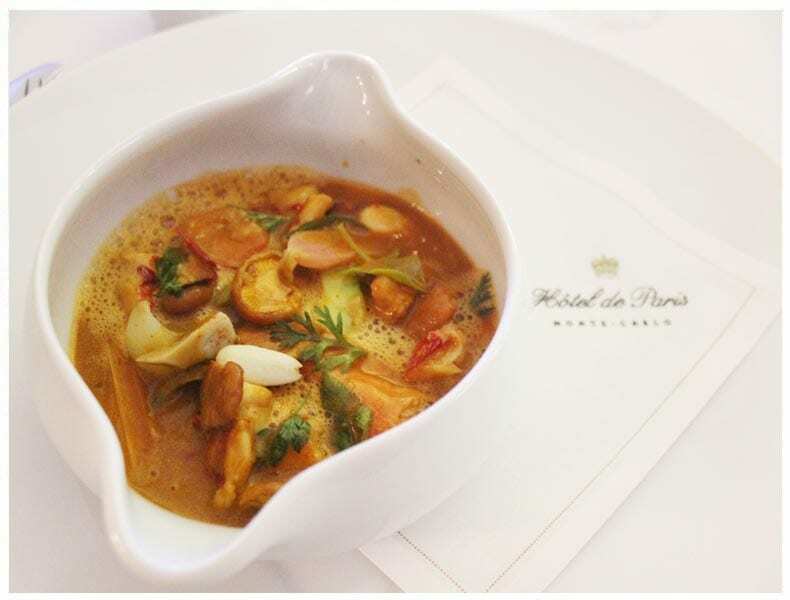 Followed by a Cookpot of Brittany lobster served with coral juice. 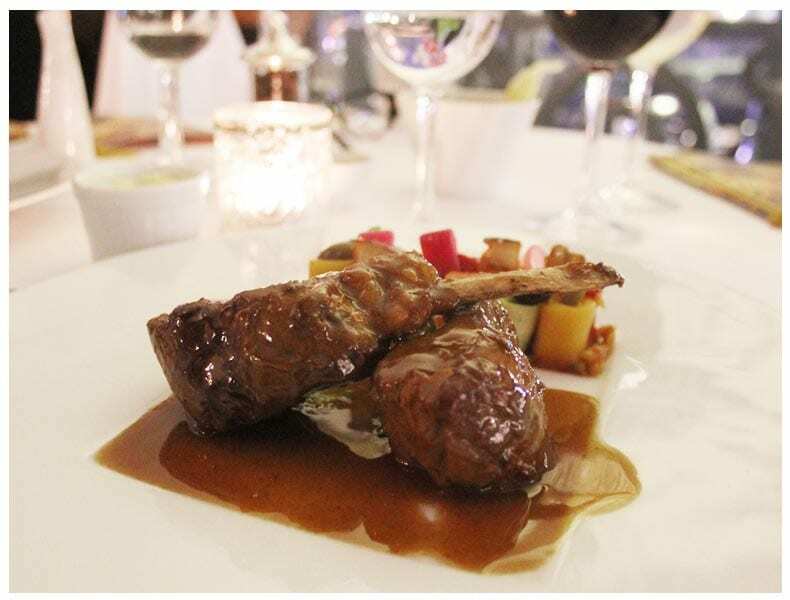 For our main course we enjoyed the Roasted rack of lamb from Prealps rubbed with sarriette. Between courses we sat and watched as the evening turned to night. Storm clouds rolled in, as the sky became shrouded in the black thunderclouds. 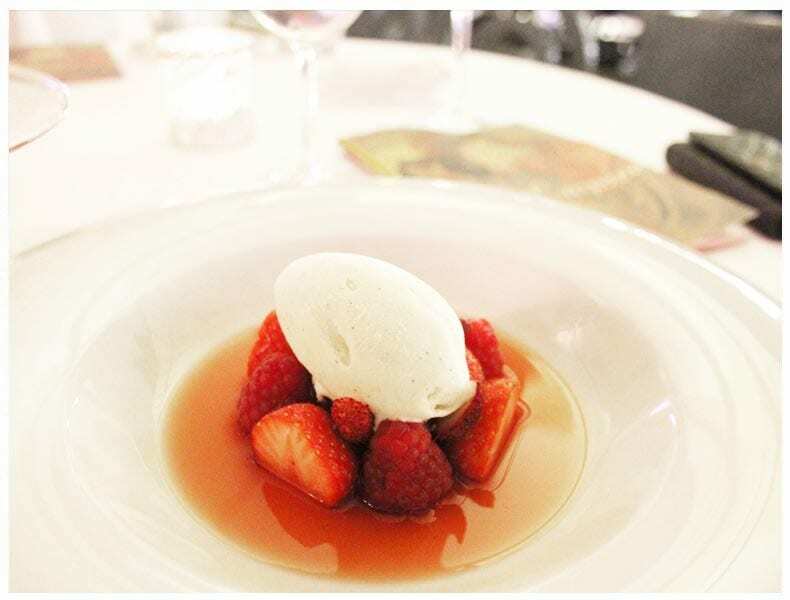 For desert we grazed over a selection of red fruits with strawberry juice, vanilla ice cream, a Traditional soufflé from Hotel de Paris and an impressive array of Homemade delicacies and chocolate served with an incredible display of dry ice! 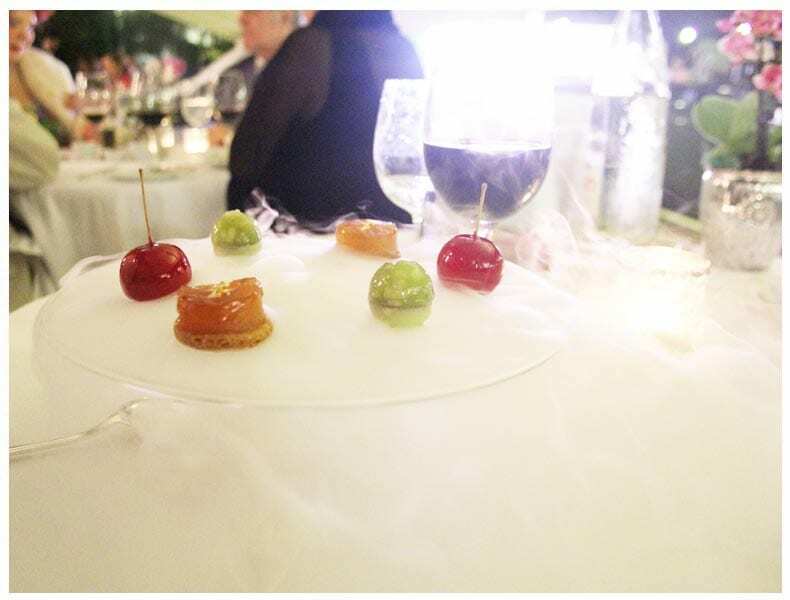 We sat by candlelight, calm, untouchable under La Salle Empire canopies as the raging lighting shot across the sky, the clouds in heated turmoil. A thunderstorm is surely the only thing that manages to be both beautiful and frightening in equal measure, don’t you think? The storm danced to the sound of a lady singing Eartha Kitt’s classic ‘C’est Si Bon’ in a true swing style.